This title helps you to be an eyewitness to life during World War II. From doodlebugs to D-Day, discover all about the historic and world-changing events of the Second World War. You can get the picture using the clip-art CD with over 100 amazing images to download. Then use the giant pull-out wallchart to decorate your room. 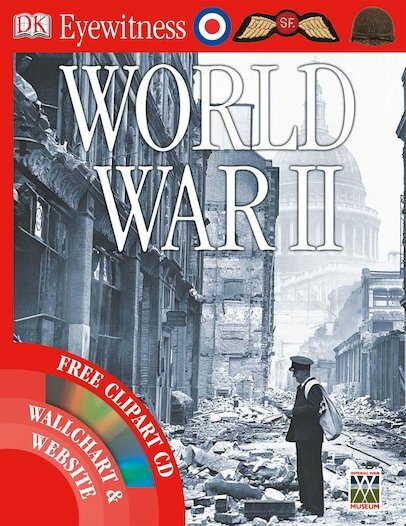 Great for projects or just for fun, this fact-packed guide and CD shows and tells you everything you need to know about WWII.